Every year we get together to celebrate Thanksgiving with friends and family. We give thanks for an abundance of food on our table and appreciate others for joining us on this day. Why do we need to wait until November to give thanks? Can’t we be thankful every day, every minute and express gratitude towards everyone and everything we have? 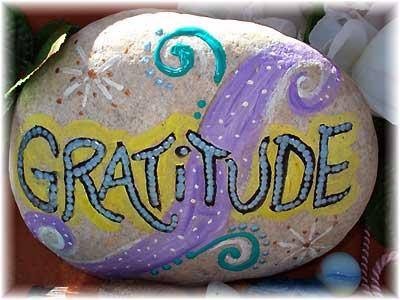 Knowing the power of gratitude, I wanted it to be a part of my children’s lives. I believe that it is our responsibility to be good role models for our kids. So a few years ago, I created a Gratitude Jar that I placed in the foyer of our house. We made a commitment to write one sentence of gratitude at the end of each day on a sticky note and put it in the jar. Then once our gratitude jar got full, we opened it and took turns reading our “thanks”. Daily practices like these enforce good habit formations and positive attitudes toward everything around us. Be ready for some awesomeness!